Children cannot be trusted to learn what they need to know to have a good life. For me, some of this came from a particular Christian belief that because we're sinners we cannot be trusted, especially children (God has changed me on this in many ways). The rest of my belief, however, came from a general assumption within society. This assumption is that only experts - whether teachers, scientists, professionals etc. - know what is necessary to know. We must be taught this special, secret knowledge that has been discovered by the experts, especially children. We cannot be trusted to find it out on our own. When I realised that this was true within society, it was like a veil fell from my eyes. Suddenly, I could see learning and education differently. I began to see what true education is - the breadth, the depth, the variety, and meaning of learning, growing, and expanding as a whole person - and not the end of year marks on a piece of paper. This understanding led me to realise that education doesn't necessarily start and end with schooling. Sometimes education has nothing to do with schooling. That was a scary and unnerving place to come to. But so exciting and enthralling. Can I bring you there, too? As I write this, my daughter cried out in frustration because the magnets she was playing would not fit together the way she was wanting them to. No matter how hard she tried, the ends she wanted to put together in order to make a boat just would not meet. As I came down next to her, I showed her how the poles within the magnets would always fight each other if they came together in that way. We watched as one rolled furiously away from the other. But when we changed one of them round, they sat snug together like eggs in a nest. Her eyes were alight with wonder. This simple moment was a drop in her life-bucket. This was learning at its purest form: natural, organic, unforced, and un-coersive. There were no need for workbooks or science manuals or ticking off "magnets" in a science curriculum. This was me, as her mother, helping her come to understand a truth about the world. Most importantly, Rosalie won't forget this new idea about magnets because the moment had meaning for her: her frustration was appeased when the answer clicked in her mind before her very eyes. Research, over and over, shows that when learning is centred on meaning and intrinsic motivation for the learner, the knowledge is at it's highest likelihood of being retained. Simple, isn't it? Yet, deeply unnerving to a traditionally-schooled parent. "All I am saying in this book can be summed up in two words - Trust Children. Nothing could be more simple - or more difficult. Difficult, because to trust children we must trust ourselves - and most of us were taught as children that we could not be trusted." When I first read that passage, so many things fell into place for me. Internally, a resounding Yes! echoed throughout my heart and mind. Memories of my childhood, feeling stupid, not good enough. Very few teachers or parents mean to distrust children and a child's ability to learn, but most children experience this anyway. It is, however, unavoidable in a society that bases a child's learning worthiness by a generalised standard, set by the experts on schooling. This is where curriculum comes in. A body of experts and professionals diagnose what the job industry/government/economy need from future workers. They then create the prescription: a scope and sequence on what children need to know, when and at what age, with regular testing to make sure the children are getting it. Teachers are then trained to teach this curriculum, whether it is good for the children or not. Schooling then becomes a system by which everything must fall into place, in order to work the line, for the product to come out at the end. Because we, as parents, went through the system, we cannot imagine there could be any other way for a child to be successfully educated. And if university is our goal for our children, then we buy into the schooling system hook, line and sinker. But we all know that human beings are not machines to be cogs in a educational system. We are living, breathing people - with ideas, feelings, thoughts, imaginations, dreams, goals, and souls. So how do we shed the baggage we have as traditionally-schooled parents and move into the freedom that comes from a place of trust and respect for our children? John Holt says that it must come from a "leap of faith". And for me, as a Christian, believing in the intimate sovereignty of God in my children's lives, the trust I have for them is based foundationally on the trust I have in Him. God made our children in His image and has a distinct and unique plan for both of them. Only He knows what their future holds, what they need to fulfill His plans for them, what kind of people they need to be to serve Him. Can any expert or curriculum have that foreknowledge of a child's life? What I am learning is that children can be trusted to learn because God has made them that way. All people are built with an insatiable need to know because God is Knowledge and we are made to know Him. Math, physics, words, language, art, music - it was all made by Him and for Him. When we are learning and engaging in these things, our minds are being filled with the good things of Him. 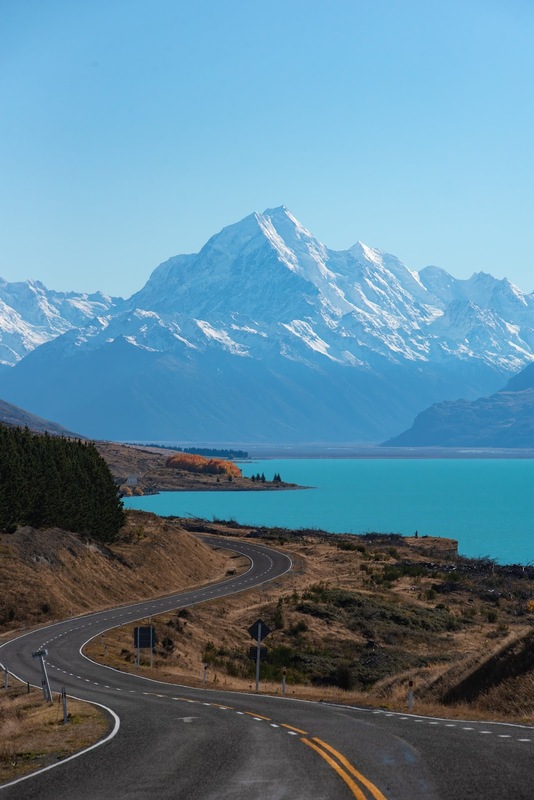 This past weekend we took a 7-hour drive down south from Christchurch to Queenstown. We had a wedding to go to which would span three days, so we were down south for five days. 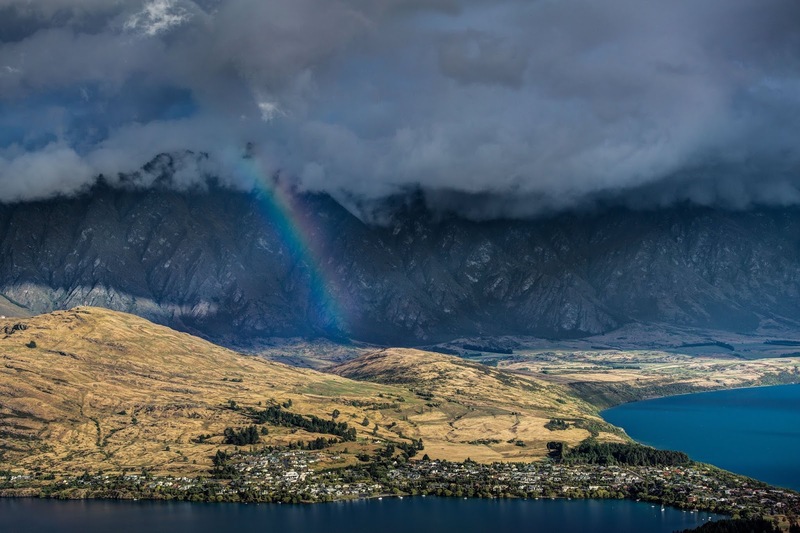 We arrived in Queenstown - an alpine/lake tourist destination - in the late afternoon and were thankful for some good rest at a motel. 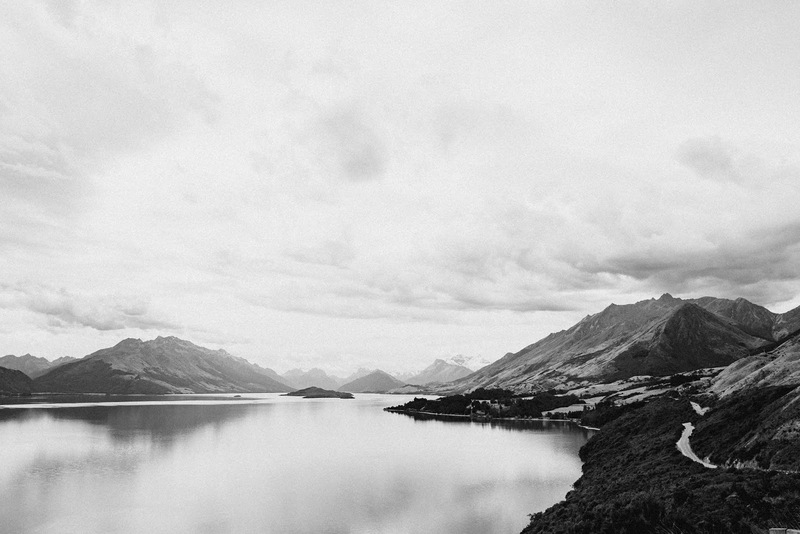 The next morning we took an hour-and-a-half journey further south of Queenstown around the lake to Glenorchy, and then another half hour drive up a long gravel road. I found a few photos that do better justice to this stunning place than I ever could (though I will be putting some personal ones up on Instagram over the next few days with some more thoughts about our holiday). My husband's longest friend was getting married in a very out-of-the-way off-grid farm where some of The Lord of the Rings and Narnia movies were made. It was absolutely stunning to say the least. We stayed in a one-room cabin that had no electricity, only a coal-range for heating, and a long-drop toilet out in a shed. It was eye-opening for the children to say the least! 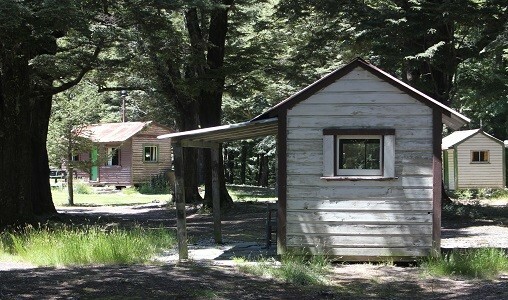 The cabin on the left is the one we stayed in. If you click on the 'source' link above, it will take you to the site of the place where we were. I so recommend it if you are ever that way down south in New Zealand. The people who run the Trust are friendly, caring, and don't mind a four-year-old girl following them as they feed their animals. It was great living like this even just for a few days as it added real-life understanding to so many things we have learned in all our homeschooling so far: how people lived long ago, how much we depend on electricity each day, and how much we love warm heaters! It is quite cold down south, even this early in Autumn, and the cabin overnight got very chilly! We wore many layers until about lunch, when the sun got too warm, and we were back to summer clothes. After the wedding was finished, we left back for Queenstown for one more night and then drove the seven hours back home today. It is a long drive, but so beautiful. My heart was filled with thankfulness to God many times - not just for His creative beauty and artistic work, but also His goodness to our family. I also wanted to add how incredibly grateful I am that we are homeschooling. 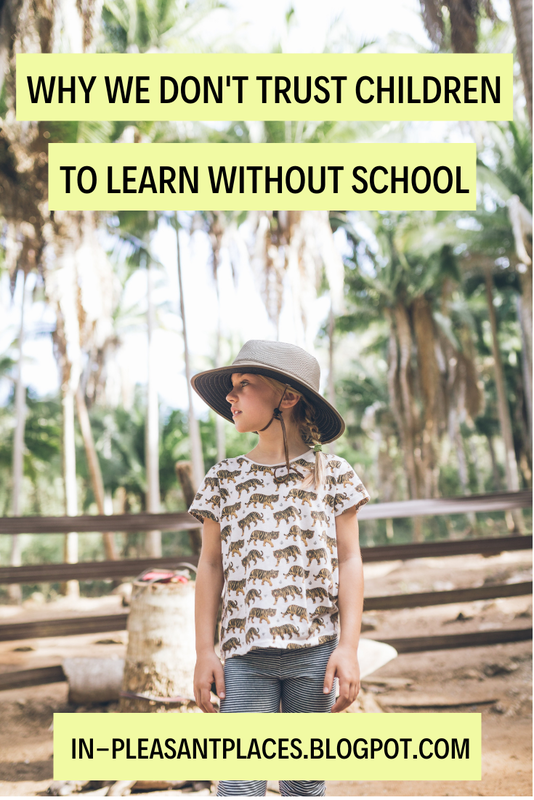 I love the freedom it gives us to not only go somewhere, but that in becoming a homeschool mother and learning all about how children grow and learn, I see them soaking up all the things we have seen, done, and experienced. I see all the connections that are linking up in their mind to things we have talked about. I see their minds awake and thriving. I see the impact these two little ones have on other people and their perception of homeschooling. And I love, love, love that we can do this life together and that there is no separation between our family life and their educational life. It is so beautiful. Autumn. It truly is a wonderful time of year. The strong heat has lessened. Flowers bloom their very last. Mornings are crisper. All the rich colours of the leaves. And, the very best, the warm sunlight that pours inside, inviting me to rest whenever I move through it. My thirty-third birthday is coming up and I am in a new season of life. Our two sweet children are no longer super little. Josiah is six and Rosalie is speeding toward five. We're learning to read, growing as people, and there is nary baby paraphenalia in sight. Goodness, it feels like opening the window to a warm sunny day after a long winter. Life is no longer survival and getting through. There are hard days and weeks, yes! Oh, yes. Both children seem to tag-team struggles like a never ending relay race. But we're all sleeping, and moving through our days with (most of the time) purpose and enjoyment. I am so thankful. 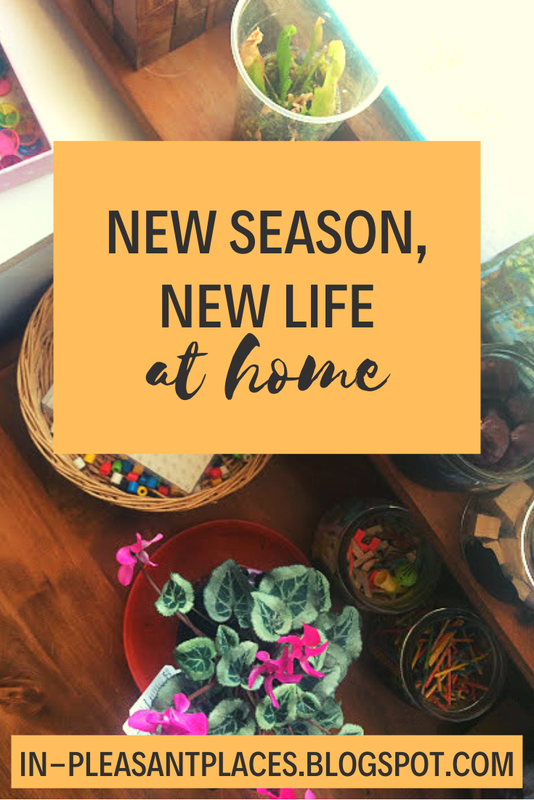 Just as our family is in a new season of childhood and homeschooling, I am changing, too. I have found myself deeply hungry for slow living and simple living over the last year. I can see how it is a long process of change. But I need it. I need a new level of being rooted. Not just rooted to our home (now almost ten years here), but also rooted to this life. Rooted into the rhythm of the days, of the months and seasons, living in a way that is in tune with all that surrounds. Summer brought much time outside. 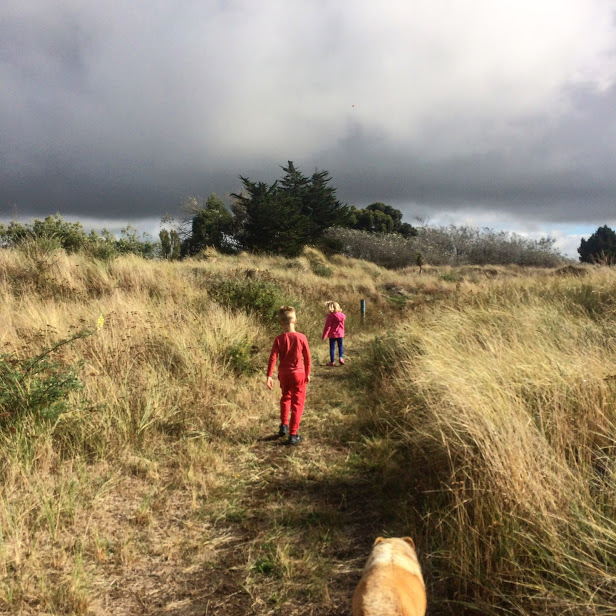 The beach, walking in the forest, playing outside, digging in the garden (still so naively), just enjoying life in the outdoors. With Autumn comes more time inside, more reading on the couch, more time to see the state of the home and, dare I say it, my homemaking habits and skills. For Christmas, I bought myself The Made From Scratch Life. I have always wanted to live a quiet life, but in the last year or so, I have had a seed slowly growing with the desire to live a simple life. To take notice of everything I do. To watch my hands and slow down as I wash dishes or fold laundry. To enjoy good books and learn about good and beautiful things with the children rather than rushing through a curriculum. To keep learning to grow our own vegetables and relish making a home. Much of the time, this can feel overwhelming. There is so much to learn and understand. Often my mood cannot be bothered and I don't know enough to just push through that feeling. There are also many places to start living simply, where do I begin? But I know that Rome was not built in a day and neither is a good life. So, slowly, slowly, I'm reading and doing little things, getting into a better rhythm as a homemaker. We made the big decision to not sell and buy a new home (giving us a bigger mortgage), so we're beginning major renovations on the home. It really feels like a new season and new life, at home. What season are you in at home? Please share. 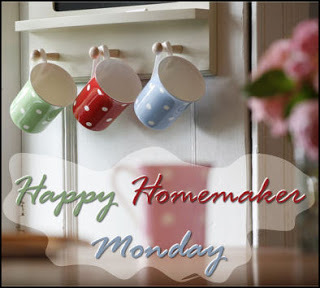 Linking up at The Modest Mom, Christian Homemakers, Create With Joy, Classical Homemaking , April J Harris and The Quiet Homemaker. I think this is fitting to be the first post on my new blog. It fits my heart's vision for this online space: enjoying simple things, being intentionally thoughtful about daily life, and being thankful for this day the Lord has made. Autumn has definitely hit the last few days. The days are cooler, especially the mornings. Today, after three or four grey and drizzley days, the sun has peaked through. It is just after 8am, and the morning sunshine is filling our kitchen and living room. It is delicious. The Lord of the Rings by J R R Tolkien (last quarter to go! 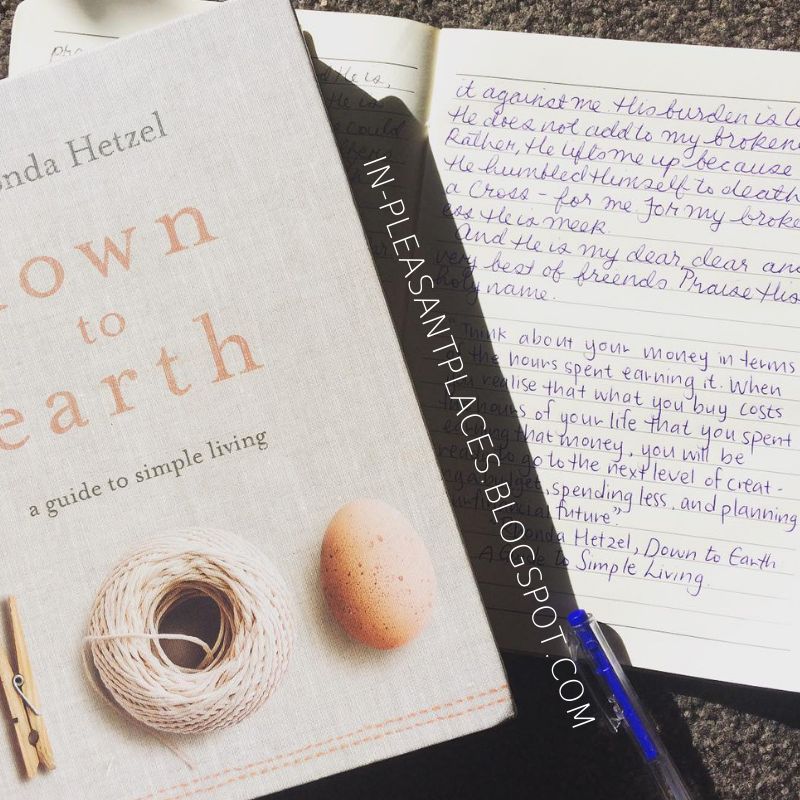 ), Let Me Be a Woman by Elisabeth Elliot (a much needed re-read), and Humble Roots by Hannah Anderson (soul-changing for me). Tim and I started season four of Peaky Blinders, and as a family we watched Cloudy With a Chance of Meatballs. Friday - Monday: We are away down south at a wedding. I am starting a new cleaning rhythm inspired by Homesong, and each day has a "set intention", so this week my focus is to focus on each intention for the day plus the normal daily tasks. 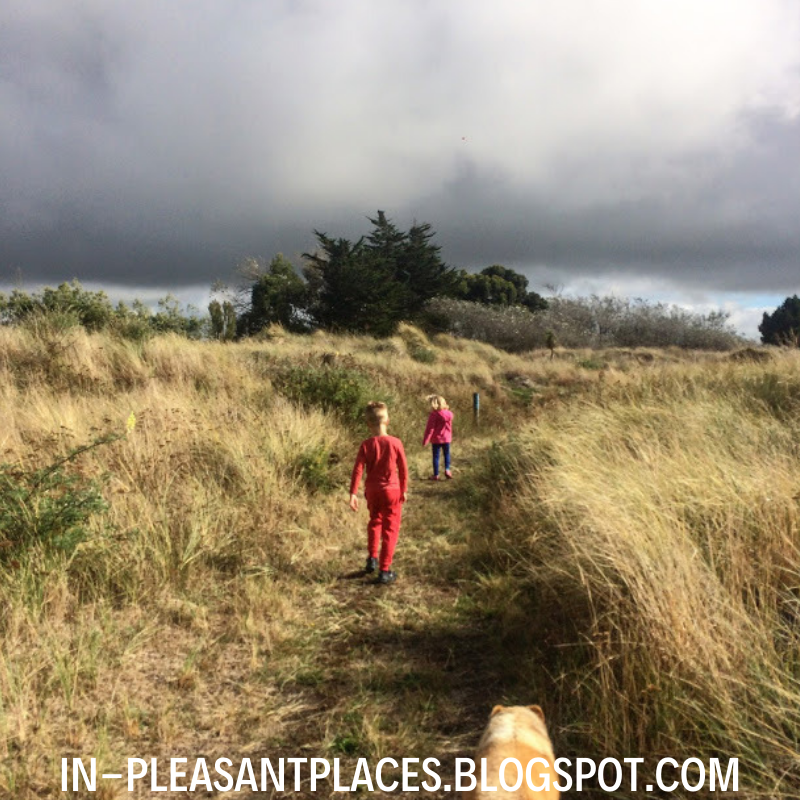 // Homeschool Josiah each morning // Pack and prepare for our big weekend trip. We are such homebodies and it's a big deal for us. // Help Tim lead a Bible Study on Thursday night. I haven't picked up some projects in a while. I have a cross-stitch to keep doing, plus a quilt top for Josiah which has been a number of years in the making and I haven't got very far with it. I have been distracted for far too long from the simple and beautiful things I have always loved, and I'm working on getting back there. Even though this trip coming has been a source of anxiety to me (it will be our first long car drive), I am looking forward to seeing our friends marry and taking the children somewhere that is totally different. 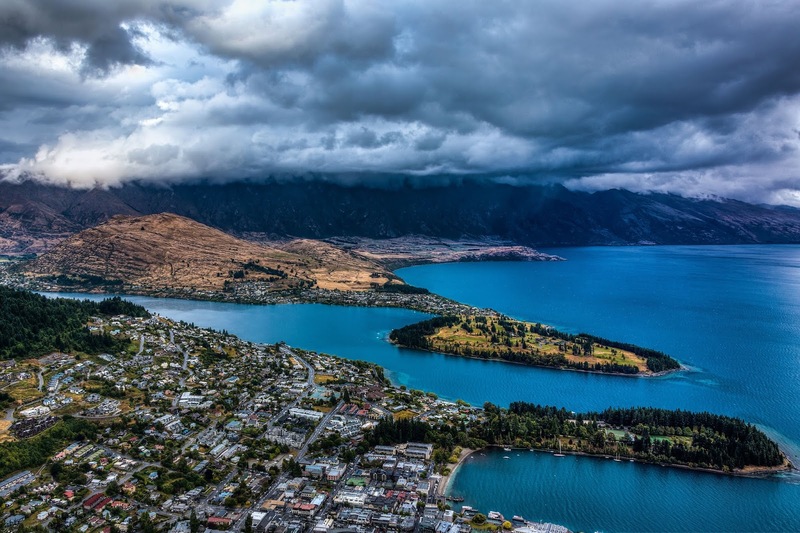 Queenstown is a beautiful lake town, the backdrop was part of The Lord of the Rings movies. This was our first walk where I felt Autumn had arrived, a few weeks back, and a couple of days after the Mosque Attacks here in our city. It felt so surreal to be doing something very normal for us, and beautiful, knowing what people were going through and suffering not far away. Jeans, black t-shirt, and socks. Pretty simple. Oh, and a little mascarra. Enjoying sunlight on different things during the day. Early morning in the kitchen, warming up the couch during Morning Basket, on the children's faces at lunch, on our backs as we walk outside. "But God has set no traps for us. Quite the contrary. He has summoned us to the only true and full freedom." Thank you for coming a long with me! 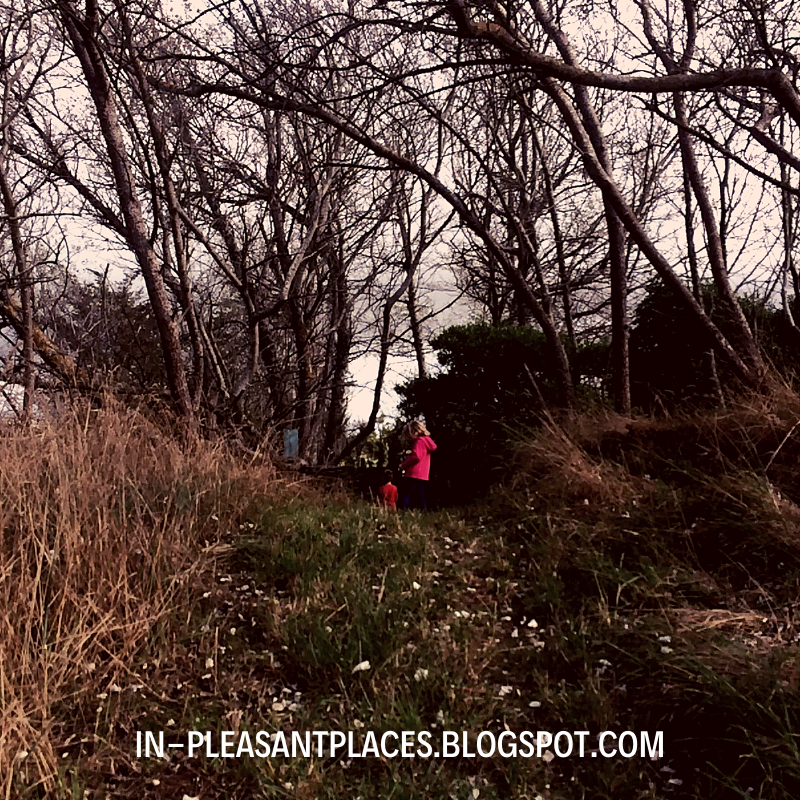 This is my place on the internet where I share my life and the "boundary lines that have fallen in pleasant places". Faith, family, homeschooling, and homemaking are places that bring me most joy and the most work. Please share this space with me, you are so welcome.